This project was shot while in residence at Sol LeWitt’s studio in Spoleto, Italy, during June of 2010. 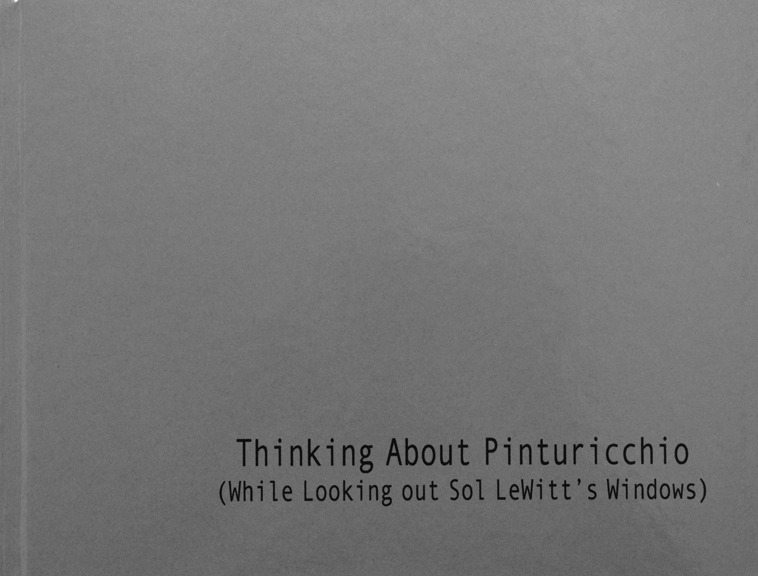 The project is a result of thinking about how both LeWitt and Pinturicchio, though working 500 years apart, had a number of concerns in common including the incorporation of the architectural space itself into the artwork. While in Spoleto I took approximately 1400 photographs out of the windows and doors of the studio building. I ended up choosing 20 images that contained the sky (but no clouds) along with portions of the window frame, various parts of other buildings, trees, etc. I also produced another 20 images that were framed almost identically to the first set except the skies now contained various cloud formations. I then converted everything in the images, except the sky, into a flat shape. Utilizing a color system that employed red, green, blue, yellow and black and a similar set of colors photographically sampled from a Pinturicchio fresco in Spoleto I generated 280 distinct images. The resulting pictures juxtapose the geometric flatness of the shapes against the luminous realism of the sky. Hardbound, 8.5” x11”, 284 pages, 280 images. Printed by the artist.